It’s a cold and dreary day here in Pittsboro, NC. It’s 40 degrees and rainy. In fact, we haven’t seen the sun in a couple days! Despite the cold and rain, the animals still need to be cared for. The keepers and I will put on our winter rain gear and venture out into the sanctuary, ensuring everyone gets everything they need. On wet days like this, instead of cleaning and scrubbing all the water dishes, we will make sure everyone has full water dishes and that they are clean. We will worry about scrubbing them tomorrow, when it finally stops raining. Today is a feeding day, so this afternoon we will head out with the volunteers and give everyone their normal amount of food. For some of the animals, that may be the only time they venture out from their warm, dry den boxes. I can’t really blame them; it’s a good day to be lazy. Though for most cats, every day is a good day to be lazy! 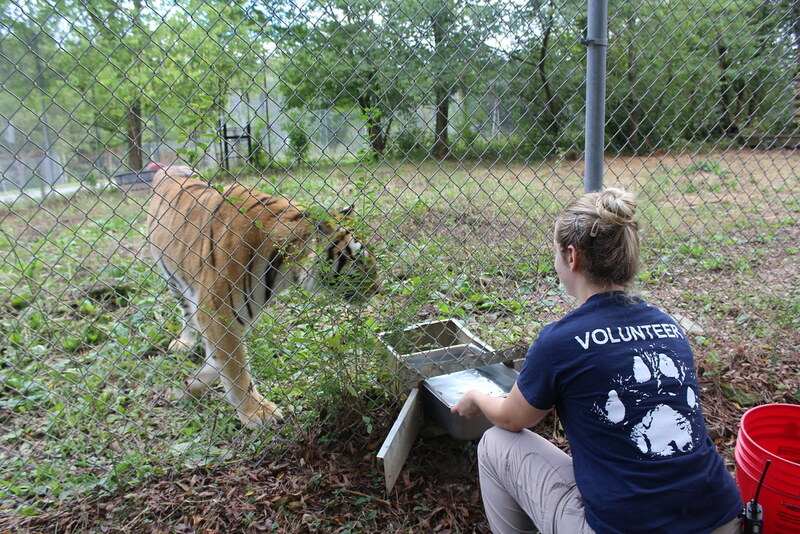 Most of our tigers, however, will venture out and some will even play in the puddles. They don’t mind being wet. 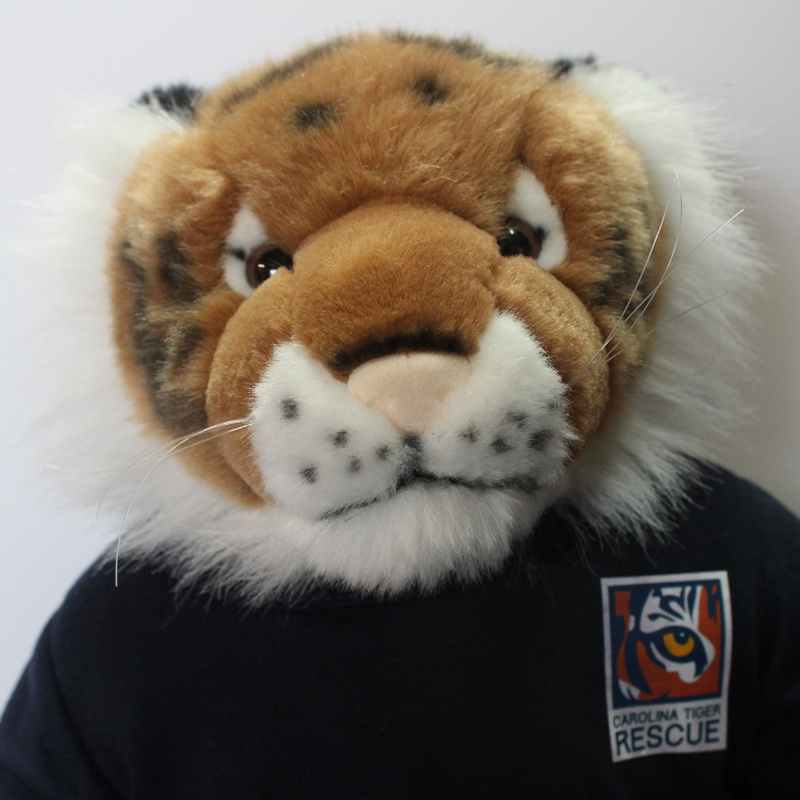 In fact, tigers love to swim and can swim up to 17 miles in a single day! Ours, of course, can’t go that far, but they sure do love to play in puddles and in their pools! Well, I should get back to work. It’s time to bundle up, put on my rain boots, and head out to care for the animals! Stay warm and dry today!